Calgary city council discussed where best to spend its infrastructure dollars on Monday. Calgary city council discusssed where best to spend its infrastructure dollars on Monday. Last fall, council approved a plan to prioritize its spending on several key areas, tying infrastructure projects to its overall vision and job creation. Infrastructure Calgary, the program developed to determine priorities, broke down recommendations based on geography, targeted themes and community investments. Mayor Naheed Nenshi said the process is all about prioritizing projects and freeing up money, whether in partnership with private enterprises or other governments, so the city can work through its wish list. "This stuff is all critical, it all needs to be built and it's all unfunded," he said. From a geographic standpoint, that means concentrating on areas around the airport to position Calgary as a major inland port: the culture and entertainment district in east downtown, the Rivers District and in Victoria Park — including the Stampede grounds; and the innovation/education/wellness area around Foothills Hospital and the University of Calgary. More broadly, administration looked at themed investments including transit and transportation, housing, education, main streets, education and resilience, in addition to community investments in schools, multi-service facilities, parks and public spaces and growth infrastructure. Flood mitigation and resiliency measures. Legacy Parks Phase 2, tier 3 projects. N.W. water and sanitary upgrades (Brentwood TOD, Stadium). Parks and pathway improvements (including Jack Long, Mills, Bridgeland, Montgomery). Various road improvements (Glenmore Trail and 68th Street. S.E., Deerfoot and 128 Ave. N.E., 194th Ave. S.E.). 14th Street and 90th Ave. S.W. pedestrian overpass. Nenshi said in some cases spending the money will leverage more cash from the federal and provincial governments. However, he said, this is not money that can be used to lower property taxes. "Remember this is one-time capital money. This is not operating money. Your property taxes pay for the base budget, the operating budget of the city and, as I've said many many times, it's a very, very, very bad idea to use one-time money to lower ongoing taxes." Monday's discussion was not open to public submissions, at least not going into the meeting. Around 11 a.m., council voted to allow the public to speak to the list of projects, but the vote wasn't without dissent. Stakeholders directly affected by the would-be investment dollars — including the Haskayne School of Business and developer groups — were on hand to listen to the proceedings, and were more than willing to speak. But some on council were uncomfortable with insiders dominating the hearings and argued members of the public would be in attendance and would want to speak if the meeting had been advertised as open to public comment. Council debated the specific project funding at an in-camera session. Once decisions are made, city administration will develop more detailed plans for getting the projects underway and will likely release information on the investments. 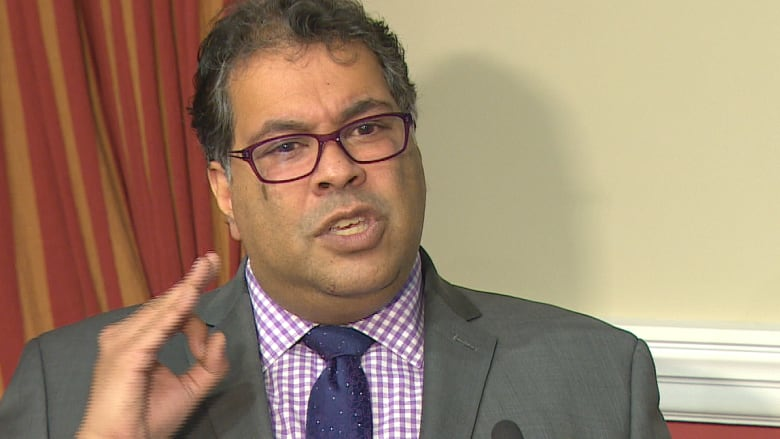 Nenshi wouldn't say how much money is on the table, only that it is "a big number." "Most likely what will happen is those numbers will come out as the projects get approved, but it's a big number, it's significant," he said. "You can do a little bit of research and look at Crowchild Trail alone and realize, that's a project that's well into the eight digits."